The garments of women’s are stitched with full colorful geometric patterns. Small, round and square mirrors, beads, coins, cowrie shells and colored cotton tassels hangs from the edges of the embroidered garments. The glass embroidery work is wrapped around the waist like a belt. 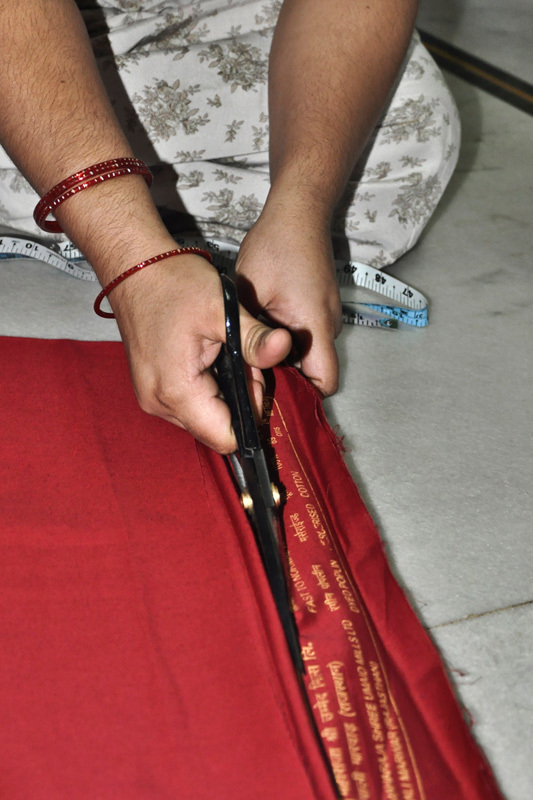 For male’s simple dhoti, a shirt and a pagiri or a turban is made. The shirt will have more works on it where as the dhoti will be plain white. 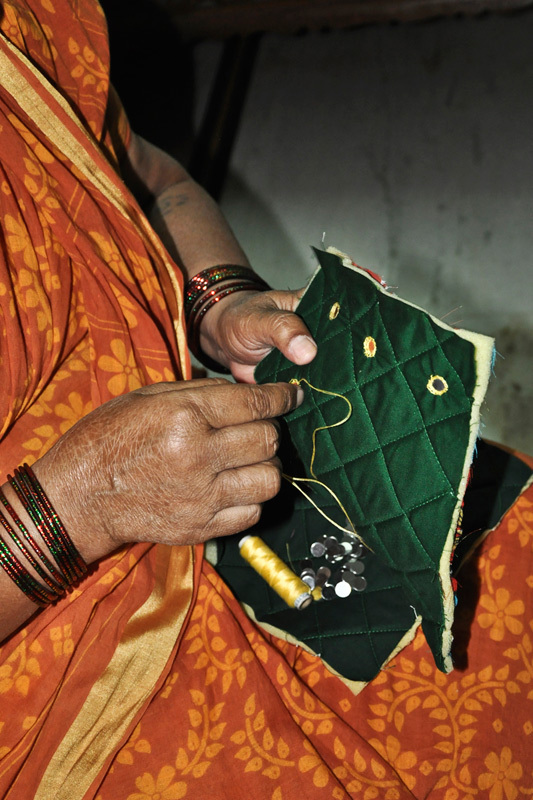 The stitching work is done by women where as the marketing job is taken care by men. The use of red, green, yellow, black and white colors is prominent among them. 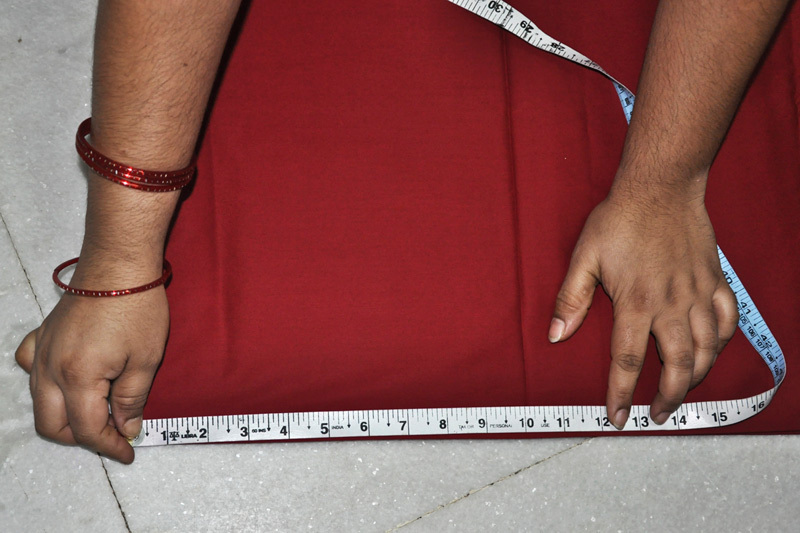 The Poplin fabric is cut into required measurement and size with the help of a measuring tape. Lines are drawn on the cloth with the help of a ruler and chalk piece, on which the threads are stitched to form as a pattern or design. This main fabric is placed on sponge and stitched. Sponge is used to maintain the stiffness. These three items are stitched together to acquire the required product. 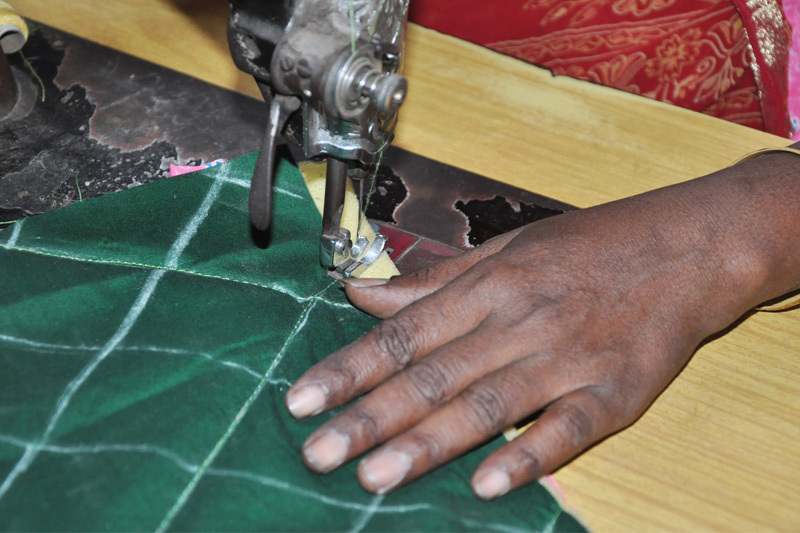 After the product is stitched, embroidery work is done on it. The sponge even helps the embroidery work to stitch the design stiffly, which outstand and makes it look attractive. Embroidery thread is called as Vardhaman thread. Materials are brought from Gujarat, Karoor, Kerala and Hyderabad. 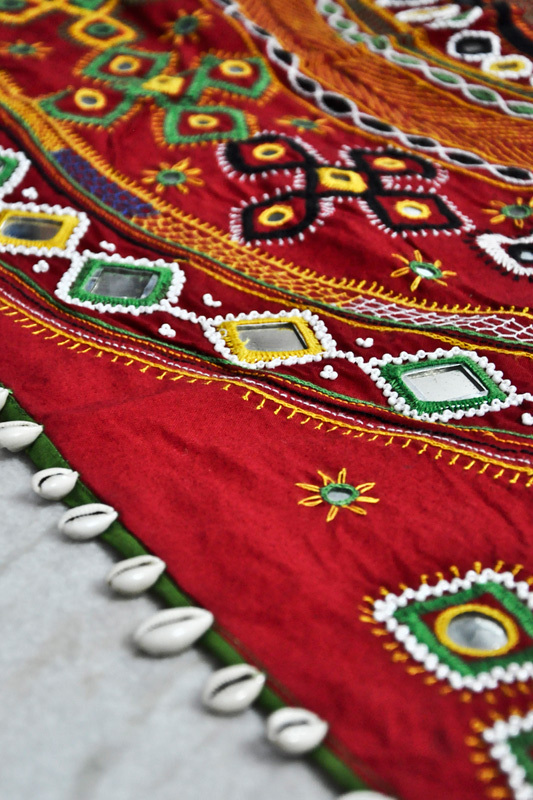 The cloth is embroidered with varieties of beads, glass and shells in beautiful patterns and design. Glass and shell embroidery is famous all around the world. 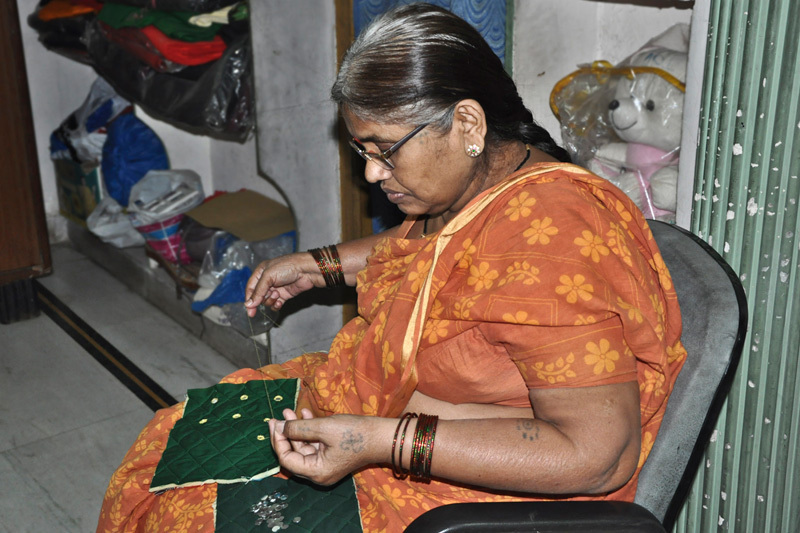 Suvali Bai takes care of the shop- Rani Bhai Banjara Garments. 30 people work under her to practice this craft. Big products hand works like costume, sofa covers etc. takes to four to five months, where as small work takes ten to fifteen days. The motifs, which are drawn from nature and geometry, are contrasted creatively. At present diverse items are embroidered for sale. 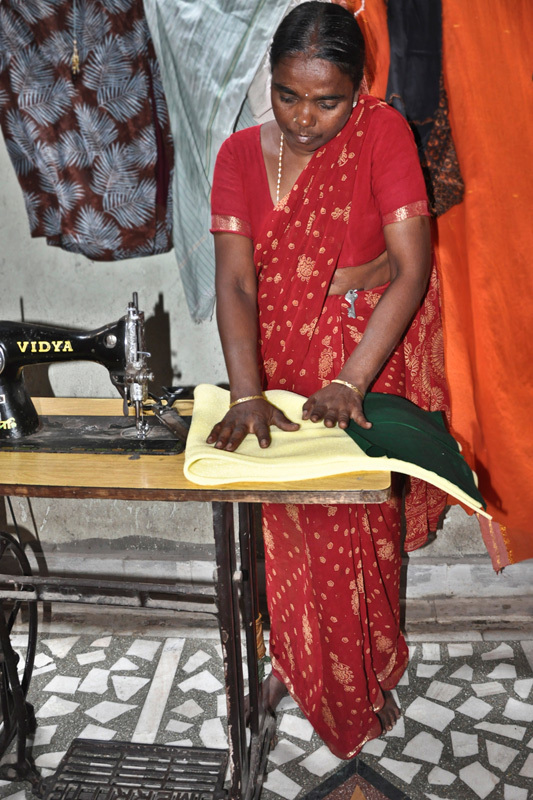 Product diversification is supported by voluntary organization and government agencies like Lepakshi. 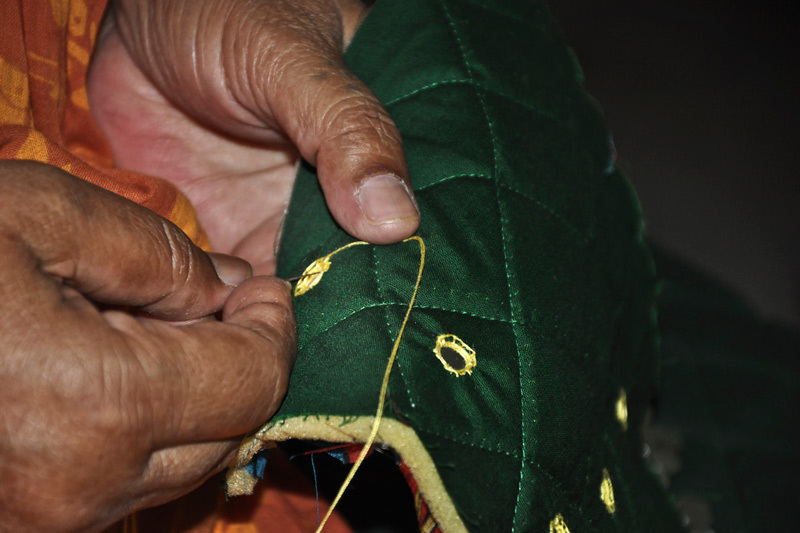 There are seven patterns of designs based on which the banjara dresses are sewn. 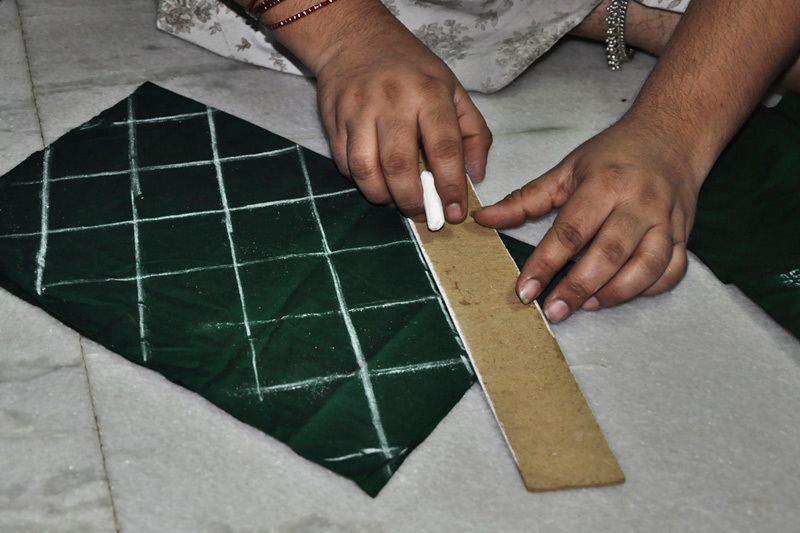 The Narka design constitutes a triangular mirror in the middle with small threads around it. Makhi design is a single line stitching in which, threads are visible like dots in a row. In Rela design, threads are stitched in a caterpillar-like tuft. Katta is a simple triangular design, whereas Teka is an intricate one of triangular patterns. Laldi and Gunjara are peculiar designs. Goth is another typical Banjara design, which forms the border for any cloth.